A new study of more than 2,200 patients with low risk prostate cancer in an ethnically and economically diverse population revealed that ethnicity influences this decision. 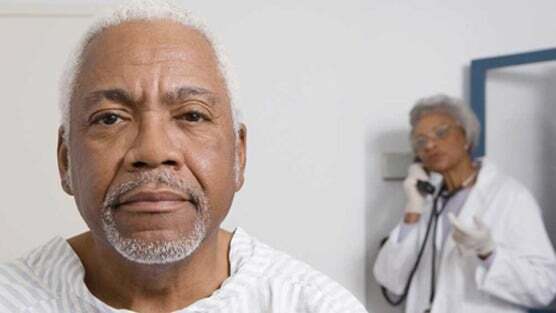 The results, published in The Journal of Urology, indicate that black men may be more likely than white men to begin active treatment independent of followup clinical measures, a finding that suggests greater attention to race/ethnicity is needed. Patients who were included in the study were all diagnosed with low-risk prostate cancer between 2004 and 2012 at Kaiser Permanente Northern California. Since this is an ethnically and economically diverse population, comparisons across a range of sociodemographic groups could be made. They did not receive any treatment within the first year of diagnosis and had at least two years of follow-up. Of the participants, 27% switched to active treatment after a median follow-up of 2.9 years. Compared with non-Hispanic white men, non-Hispanic black men were 30% more likely to switch to active treatment. The results showed that race/ethnicity does play a factor in the decision to undergo treatment despite active surveillance being clinically indicated. In addition, research results showed that Gleason grade progression, PSA doubling time less than 48 months, and higher baseline PSA levels (8 to 10 ng/mL) were associated with switching to active treatment independent of race. Among those who remained under surveillance, fewer non-Hispanic black men underwent repeat biopsies within 24 months of diagnosis compared with non-Hispanic white men. While the results were only marginally significant, they suggest that race may be a factor for switching to active treatment even among men on active surveillance. “These results are important as clinicians may be increasingly hesitant to require men to undergo serial re-biopsies due to complications, yet black men are known to have a greater likelihood of prostate cancer progression, which suggests that clinicians should be particularly vigilant in the surveillance of black men on active surveillance,” noted Dr. Kelly.